The National Park Service (NPS) has developed a vision for the future of the Moose-Wilson corridor in Grand Teton National Park. The Moose-Wilson Corridor Draft Comprehensive Management Plan/ Environmental Impact Statement (Draft Plan/EIS) is available for public review and comment for 60 days through December 29. An informational and interactive public open house will be held on December 9 from 4:00 p.m. to 7:00 p.m. at the Teton County Library in Jackson, Wyoming. 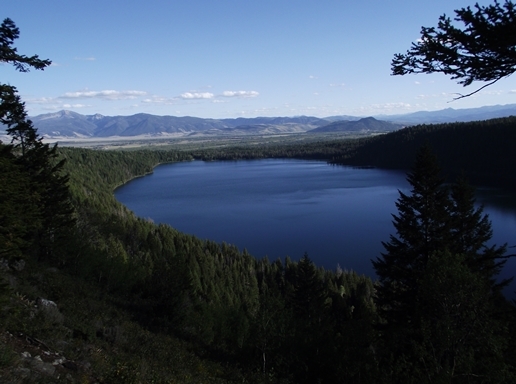 The Draft Plan/EIS is comprised of four alternatives, a no-action alternative (Alternative A) and three action alternatives (Alternatives B, C, and D).The 674 page document was developed by an interdisciplinary team of NPS managers, scientists, and staff in cooperation with the Federal Highway Administration, State of Wyoming, Teton County, and Town of Jackson. The planning team relied on a broad array of scientific research and public feedback to produce the document and identify the NPS preferred alternative (Alternative C). During the public scoping and preliminary alternatives stages of the planning process, the planning team received 1,007 and 2,605 individual comments, respectively. In addition to this public input, the planning team reviewed scientific studies of cultural landscapes, human-bear interactions, visitor use and experience, archaeology, road safety, and other topics to develop the Draft Plan/EIS. This background research, much of which has been publicly released over the last year, is available for review here. The NPS preferred alternative is the alternative that the NPS has identified to best fulfill the mission of the NPS as well as the purpose and need for the plan. "We believe Alternative C provides for the greatest protection of fundamental park resources and values—from wetland ecosystems, to the heritage of our affiliated tribal communities, to grizzly bears and moose—while allowing for appropriate opportunities to enjoy and recreate in this special area," said Superintendent David Vela. Key components of the preferred alternative include realignment of the northernmost 0.6 miles of the road, paving the unpaved portion of the road, use of timed sequencing to establish a maximum number of people in the corridor at any one time during peak use periods, establishing pullouts, relocation of the Death Canyon Trailhead, and continued shared use of the road by both motor vehicles and bicycles. The preferred alternative includes a number of actions that will improve the safety and experience of bicyclists including a reduction in the speed limit, paving the unpaved section of the road, managing traffic volumes, and improving the road surface and edge. The Death Canyon trailhead would be relocated to a site near White Grass Ranch, approximately 0.4 mile from its current location. A parking lot would be provided for 60 vehicles, serving both the trailhead and visitors to White Grass Ranch. The abandoned section of the trailhead access road would be converted to a trail. The remaining unpaved portion of Death Canyon Road would be improved to a single lane, gravel surface with turnouts for passing. As mentioned, Alternative A would essentially leave everything as is. Alternative B would relocate the trailhead to the current end of pavement on the existing access road (i.e., the junction with White Grass Road). Parking would be provided for 60 vehicles. The existing 1.0-mile unpaved portion of the trailhead access road would be converted to a trail. Alternative D would reconfigure and expand trailhead parking area in its current location to accommodate 60 vehicles. The 0.4-mile segment of Death Canyon Road between the trailhead and White Grass Ranch would be improved. A new road segment between Death Canyon Road and White Grass Road would be constructed. White Grass Road would be improved to allow for one-way traffic with staggered pullouts. The remaining portion of Death Canyon Road would be removed and the area restored to natural conditions. While all public comments are informative, the planning team is particularly interested in feedback regarding the accuracy and adequacy of the information and analysis presented in the Draft Plan/EIS. "We have identified a preferred alternative so the public knows which direction we are headed and has a robust opportunity to comment," said Superintendent David Vela. "The preferred alternative reflects current information and science, and at this point we are particularly interested in any new information, questions, or ideas that will improve the Final Plan/EIS." After the public comment period is complete, the planning team will carefully review those comments and address them as necessary. Those comments and their responses will then be incorporated into the Final Plan/EIS which will be completed by summer 2016. A Record of Decision will be signed in the fall of 2016 and the document will then guide management of the corridor for the future. The Draft Plan/EIS, as well as an informative newsletter that summarizes the plan and its alternatives, is available for viewing and download on the NPS Planning, Environment and Public Comment website under the "Documents" tab. Those wishing to comment can provide their thoughts electronically by selecting "Open for Comment" on the website. Comments can also be submitted by standard mail to Grand Teton National Park, ATTN: Moose-Wilson Planning Team, PO Drawer 170, Moose, WY, 83012-0170, by hand delivery to park headquarters in Moose, or during the open house event. Public comments and the names of those making them may be released to the public at any time in accordance with the Freedom of Information Act. Grand Teton park rangers responded to an incident over the weekend involving an illegal take of a bull elk near the Schwabacher Road, outside the designated elk reduction program areas within the park. Four citations were issued to Robert Baltensperger of Wilson, Wyoming in response to the incident. Mr. Baltensperger will be required to appear before the Federal Magistrate next month. No further details are releasable with this ongoing criminal investigation. Park visitors and neighbors are encouraged to report any information that may be connected to poaching or other wildlife-related incidents happening within the park boundaries. Information may be reported to: Teton Interagency Dispatch Center 307-739-3301 or 911, OR Wyoming Game and Fish Department Poaching Hotline 1-877-WGFD-TIP (1-877-943-3847) or 1-307-777-4330 for out-of-state calls. Park rangers and state game wardens follow up on all information received and many times the information may lead to successful prosecution of violators. Individuals submitting information can remain anonymous, and may be eligible for a reward. The 2015 elk reduction program in Grand Teton National Park began October 24. Authorized through the park's enabling legislation of 1950, the program allows for the proper management and conservation of the Jackson Elk Herd. The areas open to the program, Wyoming Game and Fish Department Elk Hunt Areas 75 and 79, are generally located on the east side of the park, and north of the Gros Ventre River. The Snake River Bottom, between Deadman's Bar access road to Ditch Creek west of US Highway 26/89/191 is closed to the program. The Antelope Flats area is closed to the program after November 30, and the entire program ends December 13. 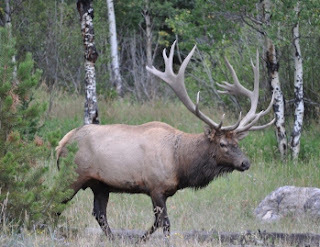 Elk reduction program participants are reminded that they are responsible for knowing and complying with the rules and regulations that apply to the program, including the boundaries of the area they are using, and only take an animal that is within a legal zone. The areas remain open to park visitors, and the wearing of orange or other bright colors is highly recommended during this time. Park rangers will intensively monitor and patrol elk reduction areas to ensure compliance with rules and regulations, interpret the elk reduction program to visitors, and provide participants with information on local conditions associated with this wildlife management program. Montana State Parks presents a proposed policy for classifying and prioritizing park resources. The proposed policy identifies the approach that State Park Staff and the Montana State Parks & Recreation Board (Park Board) will use for allocating staffing, funding, and capital development resources at sites across the system. Comments are accepted through Friday, November 20th at 5pm. The policy is an outcome of the Montana State Parks 2015-2020 Strategic Plan, Charting a New Tomorrow, which the Park Board adopted at the end of 2014. The Strategic Plan directs staff to complete several analyses to align investment in parks with the most significant, relevant, and accessible sites while improving visitor experiences and expectations based on a range of site types and experiences. The proposed policy presents a systematic direction to guide future funding and staffing decisions. In addition, the policy contains a proposed classification grouping of current parks that reflects the level of investment based on the significance, relevance and accessibility of the site. * Lead by example on nationwide initiatives such as National Public Lands Day and First Day Hikes. * With dedicated sources in place, the Montana State Parks & Recreation Board will establish a state grant program to supplant federal funding for use in renovation and replacement of facilities and resources in parks, recreation and trails for city, county, state, school districts, Tribal lands and others as a means of supporting communities, our tourism economy and assuring all providers have a stable, supported program. * Operations and Recreation Program Staff will revise and update the Montana State Trails Plan by 2020 through a collaborative process with partnering agencies and user groups. Improve the availability, usability, and awareness of trails data on public lands around the state. To view the proposed Classification and Resource Allocation Policy, click here. Additional information about the Strategic Plan and the classification process can be found online here. To comment online, click here. The public may also send comments by email to ParksClassification@mt.gov. Or by regular mail to Montana State Parks Classification Policy, c/o Maren Murphy, PO Box 200701, Helena, MT 59620-0701. Public comments will be accepted for 30 days. Comments must be submitted by Friday, November 20th at 5pm. This past June Parks Canada announced approval for the Alpine Club of Canada (ACC) to operate its first facility in Waterton Lakes National Park. 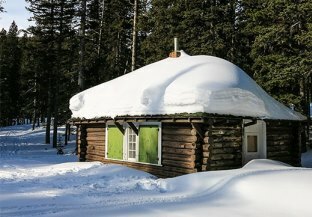 The Parks Canada warden cabin at Cameron Lake will be converted to an ACC backcountry hut providing overnight accommodation during the winter. 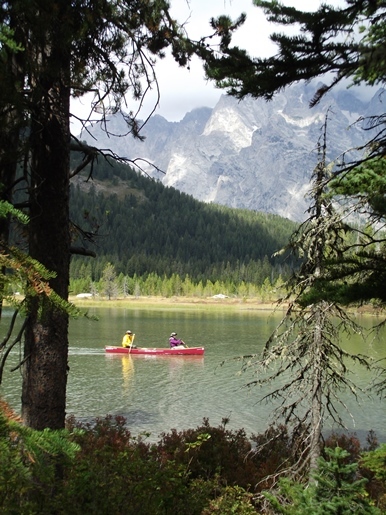 The ACC is widely respected for the consistently high quality of its system of backcountry huts and cabins throughout Canada’s mountain national parks. The Cameron Lake Cabin will provide accommodation for up to six guests in an area that is easily accessible by people of all ages on snowshoes or skis. Renovations for this project, which will protect the oldest surviving backcountry cabin in Waterton Lakes National Park, will be fully funded by the ACC. The approved 2010 Waterton Lakes National Park Management Plan identified the Cameron Valley as a focal point of visitor use during the winter months. The plan further calls for enhanced and expanded winter recreational opportunities, and identifies the renewal of overnight backcountry accommodation as an important objective. The project was well received by the public during a consultation held earlier this year. The cabin was renovated over the summer to accommodate up to six guests, and will operate only between December 1 and April 30 each year, starting this December. The Cameron Lake area of Waterton has some of the deepest snow pack in Alberta, receiving between 3 and 4 metres (10 to 13 feet) annually. The 2015 elk reduction program begins Saturday, October 24 in Grand Teton National Park. Authorized through the park's enabling legislation of 1950, the program allows for the proper management and conservation of the Jackson Elk Herd. 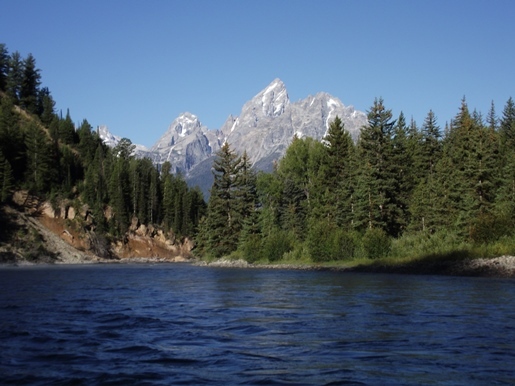 The legislation directs Grand Teton National Park to jointly develop this program with the Wyoming Game and Fish Department, and for the Governor of Wyoming and Secretary of the Interior to approve the annual plan. Respective Federal and state biologists and administrators have reviewed available biological data and concluded that the 2015 program is necessary for the proper management and protection of the elk, including keeping the herd at or near the population objective. The areas open to the program, Wyoming Game and Fish Department Elk Hunt Areas 75 and 79, are generally located on the east side of the park, and north of the Gros Ventre River. The Snake River Bottom, between Deadman's Bar access road to Ditch Creek west of US Highway 26/89/191 is closed to the program.The Antelope Flats area is closed to the program after November 30, and the entire program ends December 13. The areas remain open to park visitors, and the wearing of orange or other bright colors is highly recommended during this time. The park's elk reduction program is an important management tool that differs somewhat from other elk hunting programs in the region.Participants in the program must carry appropriate state license, conservation stamp and permits, use non-lead ammunition, and are limited in the number of cartridges they are able to carry each day. The use of archery, hand guns, or other non-center fire ammunition rifles is not permitted, nor is the use of artificial elk calls. In addition, participants, regardless of age, are required to carry a certified hunter safety card, wear fluorescent orange and carry and have immediately accessible bear spray as a non-lethal deterrent for use during potential bear encounters. Information packets accompanying each permit warn participants of the risk of bear encounters and offer tips on how to minimize the probability of human-bear conflicts. The need for this reduction program stems partly from an intensive management framework that includes annual winter feeding programs on the National Elk Refuge and in the upper Gros Ventre Drainage. Feeding sustains high numbers of elk with unnaturally low mortality rates. A majority of elk that are fed during the winter on the refuge also summer in Grand Teton National Park or use migration routes across park lands. The reduction program targets elk from three primary herd segments: Grand Teton, southern Yellowstone National Park, and the Teton Wilderness area of Bridger-Teton National Forest. An information line for the 2015 elk reduction program is available at 307.739.3681. A brochure on elk ecology and a map showing locations open to these special permit hunters is available online. Park rangers rescued an injured hiker in Avalanche Canyon Monday evening, and transported her from the area to a local medical facility. Millie Jimenez, 24-year old female from Moose, Wyoming, was returning from a hike in Avalanche Canyon with a friend late Monday afternoon, October 12. Jimenez lost her footing as she descended a rock slab area. She tumbled approximately 25 feet, and then fell another 20 feet, landing on a steep and rocky slope. Jimenez's hiking companion called Teton Interagency Dispatch Center from the scene at approximately 3:45 p.m. Park rangers were flown to the area and determined that Jimenez sustained multiple serious injuries. 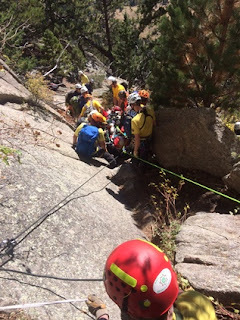 Rangers acted quickly to stabilize Jimenez and prepare her for aerial short-haul transportation to Lupine Meadows and ambulance transport to St. John's Medical Center in Jackson. Hikers and climbers recreating in Grand Teton National Park are encouraged to utilize established routes and trails, and have appropriate route finding skills. Rangers remind park visitors that day-light hours are decreasing, as well as staffing levels in the park. Recreationists should not assume that an aerial rescue is always available. Last Thursday the House Committee on Natural Resources approved legislation that would allow the National Park Service to open up more than 450 miles of streams to paddlers in Yellowstone and Grand Teton National parks. 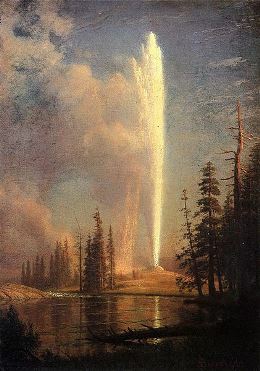 ...direct the Secretary of the Interior to promulgate regulations to allow the use of hand-propelled vessels on certain rivers and streams that flow in and through certain Federal lands in Yellowstone National Park, Grand Teton National Park, the John D. Rockefeller, Jr. Memorial Parkway, and for other purposes. The regulations promulgated under this section shall not apply to waters that are within the Teton Range in Grand Teton National Park south of a latitudinal line anchored at Wilcox Point and west of an approximate north-south line that generally defines the base of the mountains following the western shores of Jackson, Leigh, Jenny, Bradley, Taggart, and Phelps lakes, and extending to the southern Grand Teton National Park boundary at the base of Apres Vous Peak. (1) NO EXPANSION OF USE. — The regulations issued under this section shall not consider any expansion of commercial use of hand-propelled vessels in the parks. (2) SAVINGS PROVISIONS. — Nothing in this Act shall be construed as authorizing the commercial use of hand-propelled vessels. The National Parks Conservation Association (NPCA) is disappointed that the House Committee on Natural Resources today chose to advance legislation that stands to have far-reaching, negative impacts on Grand Teton and Yellowstone national parks, two of our country’s crown jewels. The Yellowstone and Grand Teton Paddling Act would force the National Park Service to open up 450 miles of waterways in these parks without study or public comment. As written, this legislation could aid the spread of invasive aquatic species, damage native trout habitat, and serve to disrupt prime habitat for endangered grizzly bears. "The new rule would then replace regulations, in place since 1950, which prohibited paddling in both parks to curb overfishing. These outdated regulations have tied the hands of the Park Service from even considering proposals from the paddling community." "The NPS will retain full management over paddling in the parks and will retain discretion on whether to go through a rulemaking to open additional waterways as it sees fit. Backcountry lake paddling management has proven that the NPS is up to the task of managing paddling on waterways while protecting natural resources." "If passed, the end result will align Yellowstone and Grand Teton National Park with other national parks across the country that offer this low-impact way for the public, and especially America’s youth, to have truly unforgettable experiences. " To become law the measure will have to be approved by both the House and the Senate, and then signed by the president. What are your thoughts? Is this a positive measure to open up parks to a broader range of users? Or will this truly have a significant negative impact on wildlife and other natural resources? If the answer to that last question is yes, then why isn't this an issue in other parks? With three months left to go, visitation to Yellowstone National Park this year has now surpassed the previous record for total annual visitation set in 2010. The park has thus far seen more than 3.8 million visits in 2015, which exceeds the total visits recorded in the previous busiest year of 2010, when the park tallied just over 3.6 million visits. Yellowstone hosted a total of 680,213 recreational visits in September, an increase of 18.97 % compared to September 2014 numbers. This month's numbers bring the total up to 3, 814,178 recreational visits in the first nine months of 2015, which is 15.97% over 2014 levels. Each of the park's five entrances showed an increase in vehicles for the month of September compared to 2014 levels. The west entrance recorded the largest increase in September visits, at 16,384 more than September 2014. "This is certainly a noteworthy event," said Dan Wenk, Yellowstone National Park Superintendent. "We are delighted to see that more and more visitors are making their way to Yellowstone to experience the park. However, it creates additional challenges for our staff who work hard to protect this amazing place while providing top-notch services for visitors. We want to do everything we can to make sure that park visitors have a safe and enjoyable trip, while at the same time protecting the special resources that Yellowstone was set aside to preserve." While many factors are at play, park managers point to the National Park Service's "Find Your Park" public awareness campaign, marketing and tourism promotions by the states of Montana and Wyoming, and lower gas prices as possible influences in the record number of visits to Yellowstone this year. Dr. Yolonda Youngs, Assistant Professor of History at Idaho State University, will present her preliminary research on the history of recreation on the Snake River in Grand Teton National Park on Friday, October 9 from 4:00 p.m. to 5:30 p.m. Her late afternoon talk titled "Braided Channels" will take place at the Teton County Library Auditorium in Jackson, Wyoming. Grand Teton has a rich and complex history of outdoor recreation, commercial guiding, and tourism. This history includes pioneering contributions to climbing, mountaineering, hiking, dude ranching, and river rafting that are part of larger trends seen across the United States during the post-World War II recreation boom. Despite this rich history and its impacts on the field of national park recreation management and the outdoor recreation industry, very few scholarly projects have explored these aspects of the park's past. During her talk, Dr. Youngs will share images, stories, and the fascinating history of the Snake River community. To date her exploration of the topic has included archival research, field work, and oral histories of pioneer guides, commercial concessionaire operators, and river rangers. Through this examination, she has uncovered a fascinating and scarcely told past and is expanding the scope of her study of the river. Dr. Youngs specializes in environmental historical geography, historical Geographic Information Systems (GIS), cultural landscapes, tourism, outdoor recreation, field methods, national parks and protected areas, and the western United States. She earned a Ph.D. in Geography from Arizona State University and a M.S. in Geography at Montana State University. She teaches courses in the Historical Geography of National Parks, World Regional Geography, Digital History, GIS, and U.S. Environmental History. If you've never had the opportunity to take a float trip down the Snake River through the Grand Tetons, I highly recommend it. The trip offers the chance to see a variety of wildlife, in addition to seeing the mountains from a different perspective. Several months ago I posted about our float trip last summer. Starting Tuesday, October 13, a temporary area closure will be in effect for several trails and walkways within the Jenny Lake area of Grand Teton National Park. The temporary public closures are necessary to ensure public safety during construction activities involving helicopter transport of heavy material to the Hidden Falls and Inspiration Point areas on the west side of Jenny Lake as well as the paved walking paths on the east shore of the lake. The public closure will last from October 13 through October 15, and possibly longer. For safety during the staging and hauling of several loads of rock and construction materials, trails leading from the Jenny Lake east shore boat dock area and the Moose Ponds Trailhead to Hidden Falls and Inspiration Point will be closed to all public access. There will also be intermittent closures of the walking paths in the vicinity of the Jenny Lake Visitor Center. Lake access from the public boat launch will not be allowed. All visitor services in the Jenny Lake area, including the visitor center, are closed for the season. Signs will be posted throughout this closure area, and park staff will be positioned to provide suggestions for alternate routes for anyone visiting this area of the park. Areas not affected by this temporary public closure include: the Teton Park Road; Jenny Lake scenic loop road; access to Cascade Canyon via the Horse Trail; access to Jenny Lake via the String Lake parking lot and trailhead; and access to the Lupine Meadows Trailhead. This rehabilitation and construction work is part of the Jenny Lake Renewal project. Work on the backcountry trail system on the west shore of Jenny Lake will continue next summer, while work on the front country visitor area on the east shore of the lake is beginning this fall and will continue next summer. The project is funded through a public-private partnership initiative with the Grand Teton National Park Foundation. The National Park Service has issued a Finding of No Significant Impact (FONSI) to update and repair many of the overlooks and trails located along the rim of the Grand Canyon of the Yellowstone River. NPS Intermountain Regional Director Sue Masica approved the FONSI on September 24, 2015 based on the Environmental Assessment (EA) recommended by Yellowstone National Park Superintendent Dan Wenk in mid-August. The Wyoming State Historic Preservation Office concurred with the finding that historic and cultural resources in the area will not be adversely affected by the undertaking as planned. The approved action will address aging and deteriorating infrastructure, provide improved accessibility to visitors, improve pedestrian flow, address safety issues, and improve the visitor experience in the area, all while retaining the historic integrity of this extraordinary portion of the park. Areas to be addressed in the plan include: the Brink of the Upper Falls, the Brink of Lower Falls, Uncle Tom's, Inspiration Point, Red Rocks Point, Crystal Falls, and their associated connecting trails. With the EA and associated compliance completed, improvements to the overlooks, trails, and some associated parking for the first phase is scheduled to begin in the spring of 2016. Construction would occur in at least two phases with the first phase including Inspiration Point, the Brink of the Upper Falls, and Uncle Tom's Point dependent upon available funding. Copies of the EA and the FONSI, and more information about this project, are available on the National Park Service Planning, Environment and Public Comment (PEPC) website, www.parkplanning.nps.gov/CanyonOverlooks, or by writing to: Compliance Office, P.O. Box 168, Yellowstone National Park, Wyoming 82190. 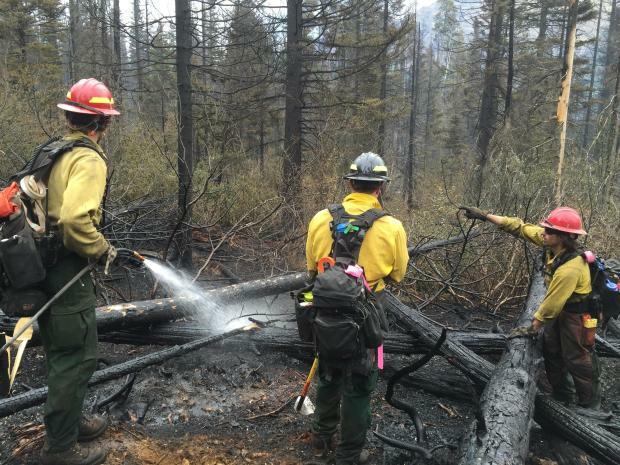 Teton Interagency Fire Center has responded to 15 human-caused wildland fires during the past three weeks. 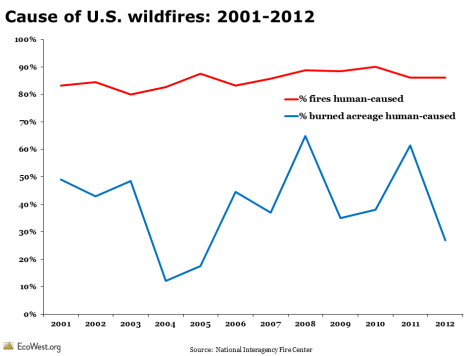 All of these fires were the result of abandoned warming fires. Morning temperatures are chilly and many visitors will start warming fires, but then fail to extinguish them properly thinking the cool temperatures or wet weather will allow them to naturally go out. History has proven that these small warming or cooking fires can easily cast off embers, or spread through adjacent vegetation to ignite a wildfire. * Know where fires are allowed; campfires are only permitted in designated campsites at Grand Teton National Park and are not allowed in the National Elk Refuge. Fire danger for the Teton Interagency area is currently moderate which means that fires start easily, spread at a moderate rate, and can start from most accidental causes. 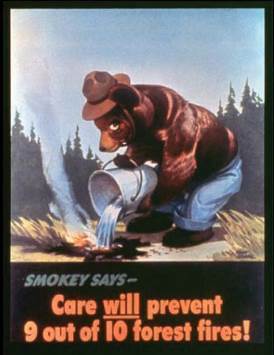 For more information on preventing wildfires, visit www.tetonfires.com. To report a fire call 911 or Teton Interagency Dispatch Center at 307-739-3630. The last day to access Logan Pass by vehicle from the east side of Glacier National Park will be Sunday, October 4. Vehicle traffic will be restricted on the east side near the St. Mary Campground beginning Monday, October 5 to allow for fall season rehabilitation on the Going-to-the-Sun Road. Vehicle access to Logan Pass will be available from the west side of the park through the 3rd weekend in October, weather permitting. 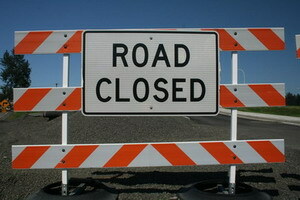 Visitors can call 406-888-7800 (press 2) or visit http://go.nps.gov/roadstatus for current road status information. 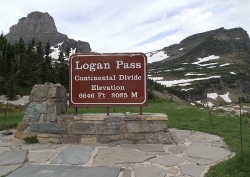 The last day to access Logan Pass by vehicle from the east side was originally planned to be September 20. However, road crews have made great progress on paving and road rehabilitation projects and are able to extend access to the east side of Going-to-the-Sun Road through October 4. Road rehabilitation will continue through and after October 4. Visitors should anticipate some traffic delays. Some east side road pull-outs may be closed due to road work and fire hazards. After October 4, hikers and bikers will have access to the east side of Going-to-the-Sun Road on weekends and evenings, weather permitting. Some trails are closed on the east side of Going-to-the-Sun Road due to the Reynolds Creek Fire. For more information on status of trails and access, please contact the park or visit http://www.nps.gov/glac/planyourvisit/trailstatusreports.htm. The Apgar Backcountry Permit Office is open 7 a.m. to 5:00 p.m. through October 3. From October 4 through October 31, the hours will be 8 a.m. to 4:30 p.m. Backcountry permits will be issued until 30 minutes prior to closing. Times and locations for boat inspections for boats launching in Glacier National Park are changing. Inspections for the west side of the park will be conducted at the Apgar Backcountry Office, 8:00 a.m. to 4:00 p.m. daily through the end of October. Boat inspections for the east side of the park, Many Glacier and Two Medicine areas, are by appointment only. Appointments are available by contacting the park at 406-888-7800. The Apgar Visitor Center is open through October 12, 8:00 a.m. – 5:00 p.m. daily, and then on weekends only through the winter. The St. Mary Visitor Center is open through October 4, 8:00 a.m. – 5:00 p.m. daily. The Logan Pass Visitor Center closed on September 30. Several campgrounds throughout the park have closed or changed to primitive status. Campgrounds in primitive status have pit toilets available, no potable or drinking water, limited number of sites, and fees are reduced to $10 per night. Visitors are encouraged to plan ahead and are reminded that any water taken from streams or lakes requires treatment before use. Current campground status is available at http://home.nps.gov/applications/glac/cgstatus/cgstatus.cfm. Autumn visitors to Glacier National Park will find less crowds, cooler temperatures, and changing vegetation colors. Area residents and visitors are reminded that the park is open year-round and park recreational opportunities can be found during all seasons. For additional park information, visit the park’s website http://www.nps.gov/glac/index.htm or call park headquarters at 406-888-7800. More information and images of the park can be also be located by visiting Facebook at https://www.facebook.com/GlacierNPS. To accommodate a dust abatement application and road grading, a brief travel closure will be in place for about 48 hours, beginning 4 a.m. Tuesday, October 6, on the unpaved section of the Moose-Wilson Road in Grand Teton National Park. The road will reopen by 8 a.m. Thursday, October 8. Motorists and bicyclists should plan to use an alternate route on October 6 and 7 as this temporary closure will prevent making a through trip on the Moose-Wilson Road from Granite Canyon Entrance Station to the Teton Park Road at Moose, Wyoming. This will be the third dust abatement treatment for the 2015 season. An earlier treatment scheduled for September 15 through 17 was postponed due to wet conditions. For those wishing to reach the Laurance S. Rockefeller Preserve trails or Death Canyon Trailhead, access will only be possible by heading south from the Teton Park Road junction near the Craig Thomas Discovery and Visitor Center. The Laurance S. Rockefeller Preserve Center is closed for the season. To alert park visitors and local residents of the scheduled road closure, electronic signs will be placed on Wyoming Highway 390. For travelers heading south to Teton Village from the Moose area, signs will also be placed at the junction with the Teton Park Road. A hiker was injured by a grizzly bear on Tuesday, September 29, 2015 at approximately 5 pm in Glacier National Park. His injuries were not life threatening. The 65-year male hiker from Wisconsin was hiking alone off-trail near Mt. Henkel in the Many Glacier Valley, where he surprised a sow grizzly with two sub-adult cubs. 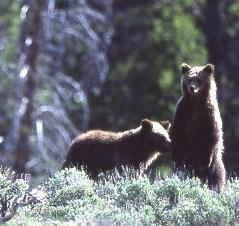 The hiker was grabbed and shaken by the bear during the encounter. The man successfully deployed his bear spray, causing the bear to release him and leave the area. The hiker received puncture wounds to his lower leg and injuries to his hand. The man hiked back to his vehicle in Many Glacier and drove himself to the emergency room at the Northern Rockies Medical Center in Cutbank, Montana. He was treated and released later the evening of September 29, and continued on with his travel itinerary. He called Glacier National Park Dispatch to report the incident. Rangers are still investigating the incident. According to park rangers, the bear’s response to the hiker was defensive in nature and consistent with a surprise encounter with a hiker. Visitors to Glacier National Park are reminded that the park is home to black and grizzly bears. Bears spend a lot of time eating, so avoid hiking in obvious feeding areas like berry patches, cow parsnip thickets, or fields of glacier lilies. Hikers are highly encouraged to hike in groups, make noise when hiking, and have bear spray accessible and know how to use it. At this time of year, bears are entering a phase called hyperphagia. It is a period of concentrated feeding to prepare for hibernation. There has been a shortage of berries in many areas of the park this year, leading to the potential for increased bear activity in visitor use areas. Thus it is especially important that visitors keep campgrounds and developed areas clean and free of food and trash. Regulations require that all edibles, food containers, and cookware be stored in a hard-sided vehicle or food locker when not in use, day or night. Place all trash in bear-proof containers. Do not burn waste in fire rings or leave litter around your camp. Fire rings should be free of trash before vacating a campsite. For more information about hiking in bear country while recreating in Glacier National Park, visit http://www.nps.gov/glac/naturescience/bears.htm. The historic Old Pass Road located near Teton Pass in the Jackson Ranger District of the Bridger-Teton National Forest will be getting much needed road improvements starting this week. During this road improvement period, visitors can expect temporary trail and road closures including the area just above Crater Lake trail in the upper section of Old Pass Road, which will be closed Monday through Wednesday to replace culverts, and paving operations will close the Old Pass road entirely from Thursday to Friday. Recreationists are encouraged to seek alternative trails around the Teton Pass area or to explore other great parts of the Forest while repairs are completed safely and efficiently. This 103 year old road has seen many uses since the early settlers of Jackson utilized it to into the valley. With the constant usage and yearly degradation the road is in need of some much needed repair efforts to ensure the safety of its users. Last winter, the Old Pass Road was plowed due to the donations from the community received through the Team Jackson Hole organization and the continuous support of its leader, Jim Verdone. This year, once again with the donations received by the community through Team Jackson Hole, and with additional funding through the Community Foundation of JH grant, repairs will be underway to maintain the integrity of the road. Signs have already been posted on the trail to inform visitors of this project. Due to the uncertainty of the weather, operation schedules could change. For an alternate route, users are encouraged to use Crater Lake Trail, a 1.5 mile trail paralleled to Old Pass Road opened for hikers and mountain bikers. For more information about this project or recreational opportunities within the Forest you can contact the Supervisors Office at (307) 739-5500 or visit the Forest website www.fs.usda.gov/btnf/.